Upcoming iPad Pros to Feature Face ID, Lack 3.5mm Audio Jack - Playfuldroid! Apple has a busy schedule ahead as it is expected to announce the two OLED iPhones along with another with LCD screen in September. The company is also expected to debut next version of Apple Watch and cheaply priced MacBook Air. Apart from these devices, Apple is now speculated to be working new editions of 10.5-inch and 12.9-inch iPad Pros. New information reveals that the 10.5-inch i and 12.9-inch iPad Pro models arriving later this year will respectively measure 247 x 178.7 x 6mm and 280 x 215 x 6.4mm. The current 10.5-inch iPad Pro model measures 250.6 x 174.1 x 6.1mm. 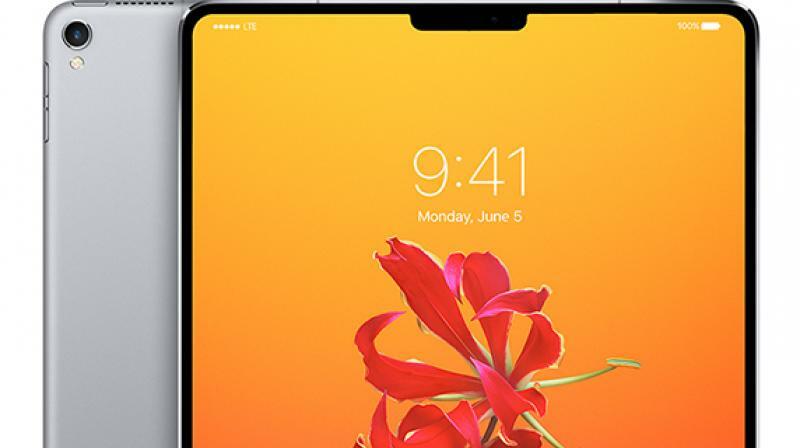 The dimensions of the upcoming tablets suggest that even though will be housing 10.5-inch and 12.9-inch screens like the existing models, they will feature slimmer bezels around the display. Apple is expected to reduce the size of the bezels by removing the Touch ID sensor. Instead of Touch ID, the forthcoming iPad Pros may feature Face ID like the iPhone X through the TrueDepth camera setup. Also, it won’t be featuring a 3.5mm audio jack. The Smart Connector could be placed alongside the Lightning port at the bottom of the forthcoming iPad Pros. This indicates that the tablet could be equipped with Smart Keyboard with vertical orientation. The report has also stated that Apple is facing issues with production of the upcoming notched LCD iPhone. Hence, the company may release it in the market by November.